Are you in need of a study which cannot be carried out aboard a vessel? Do you wish to find out if your new, larger vessel fits in to a port? Or do you need to test the functionality of your new navigation system? Let us help you! The simulated environment of Aboa Mare provides excellent opportunities for research, testing, and product development. We also provide assistance in carrying out your studies as well as in finding sponsors and partners. Maritime simulations are our speciality in training, research, and product development! Examples of the R&D projects of Aboa Mare in a simulated environment include the MONALISA 2.0 and BONUS STORMWINDS projects. A new e-navigation concept, Sea Traffic Management, and applications, such as an automatic exchange of route informations and voyage plans, have been developed in the MONALISA 2.0 project. 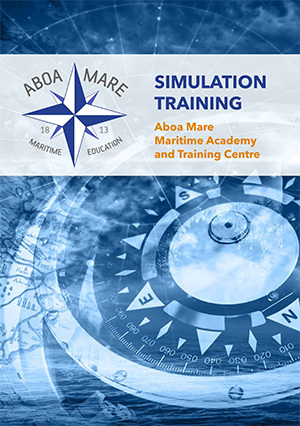 Aboa Mare joined the testing of these new applications in cooperation with other European simulator training centres. Moreover, in the BONUS STORMWINDS project, Aboa Mare’s simulators are used in the testing of new solutions for optimizing the route of a vessel in icy conditions.